The mighty Kogalo are in the CECAFA club cup finals for the first time in 30 years after beating Al Khartoum of Sudan 3-1. Goals came from Olunga, Kagere and Wafula. 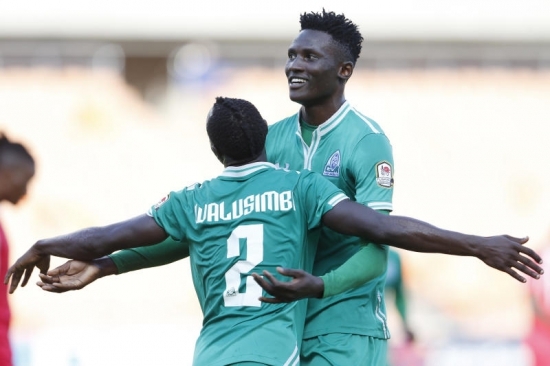 Man of the moment Michael Olunga scored and set up two goals as Gor Mahia booked a slot in the Cecafa Kagame Cup final after beating Sudan’s Khartoum 3-1 at the National Stadium in Dar es Salaam, Tanzania, yesterday. It was a well-deserved win for Gor Mahia as the last time they reached the final was 30 years ago. They will face Azam who beat KCCA 1-0. The final is tomorrow. Despite conceding an early goal in the second minute, Gor Mahia looked more comfortable and a formidable side in the encounter which was also full of defensive blunders from both sides. Khartoum shocked K’Ogalo in the second minute when captain Amin Elmani scored with a clinical shot, sending goalkeeper Boniface Oluoch the wrong way after finding himself unmarked in the area. On 16 minutes Karim Nigiziyimana whipped in a cross that was mistimed by Khartoum’s goalkeeper Mohamed Abdalla Ibrahim before Godfrey Walusimbi kept it into play. With Mohamed Ibrahim off his goal line, Meddie Kagere’s effort with the head kissed the post before Omer Ali Alkhdr cleared the mess. Olunga equalised in the 24th minute through a fantastic penalty after Anthony Akumu was adjudged to have handled in the box to take his tally of goals to five. A minute later Olunga set up Innocent Wafula to superbly score the second. Merghani came closer to cancelling Gor Mahia’s lead in the 36th minute after beating captain Musa Mohammed, but he failed to control the ball when through on goal. Gor scored their third goal in the 55th minute after Olunga took advantage of some calamitous handling by Khartoum keeper Mohammed Ibrahim, but his shot was cleared off the line but, Kagere was on hand to tap home the loose ball. Khartoum’s Ghanaian coach James Kwesi Appiah reshuffled his lineup in the second half, but it was all in vain. Reports emanating from the various outlets suggest that both Gor Mahia and Yanga of Tanzania have been accused of using Juju. Yanga declined to use the designated changing rooms for fear that the rooms may have been laced with potent charms that could work against them during the match. Gor Mahia refused to use the main entrance reserved for playing teams, and instead entered the National Stadium pitch using an alternative entrance, which is restricted to stadium staff only. Because this alternative entrance was locked at that time, the team broke the door and made their way inside, something that caused the tournament’s Local Organising Committee to write to Cecafa boss Nicholas Musonye asking him to take action against the Kenyan team. A Kogalo official said they were only taking basic safety precautions to guard themselves from the “strong medicine” laid by their opponents for the day. “We have our people here and they had warned us in advance that the opponent had planned something for us. Our informants told us to avoid the changing rooms and any enclosure where the entire team members could be found together. That is why we avoided the main entrance and the locker rooms,” he said to the Nation. Juma Pondamali, the Yanga goalkeeper trainer who was a legendary goalkeeper in his heyday has denied that Yanga uses withcraft. “When I was a player I would always consult a witch doctor, and I retired as the top goalkeeper in the country. For that I have no regrets. But that was very long ago. Things have since changed and nowadays people believe in the scientific ways of enhancing performance. “If there is any witchcraft being practiced in Yanga, then it is being done by individual players who are chasing individual brilliance but not by the team as a whole. Use of charms of witchcraft has become a rarity in modern football. However back in the 1970s and 1980s it was common for teams including Gor Mahia and AFC to visit a witchdoctor on the night before games. And in some cases a team witchdoctor was on the technical bench and even posed for team pictures. FKF chair Sam Nyamweya has concurred with Tusker coach Francis Kimanzi and has decided that next season the number of foreigners in each time will be three, of whom only two can play at the same time. “We are concerned by the huge number of foreign players in the country and while we have allowed clubs to sign five, we are now going to scale it down to three.” said Sam Nyamweya to the Standard. Nyamweya also wants the immigration department to clamp down on foreigners playing in lower leagues. “We are aware that many foreigners are taking part in the other lower leagues and the fact is we have not given them permission. We are wondering how they got work permits without us ” he said. This came about after Tusker coach Francis Kimanzi singled out Gor Mahia as a team that is benefiting due to foreigners. KPL chair Jack Oguda concurred that the number of foreigners needs to be curbed. “We are considering things like imposing an age limit on the foreign players allowed in our league. We also want to comprehensively deal with the issue of refugees which continues to bother us,” he explained to the Standard. 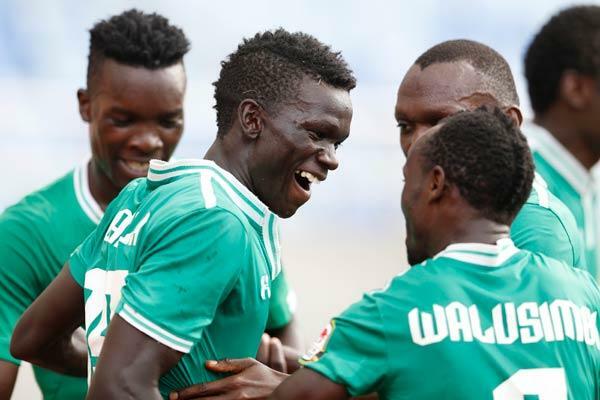 Gor Mahia beat Al Malakia of South Sudan 2-1 in a quarter-final encounter of the ongoing CECAFA club cup. Gor Mahia took a 2-0 half-time lead thanks to goals from Godfrey Walusimbi. Al Malakia pulled one back in the 64th minute for a final score of 2-1. Ugandan international Godfrey Walusimbi netted a brace, the first after three minutes when he connected a Michael Olunga cross. Olunga made a good run towards goal and tried to pick out Meddie Kagere, who missed and the ball found Walusimbi waiting and he did not make a mistake scoring. Walusimbi added his second in the 27th minute from a counter-attack. The Sudanese champions scored their only goal in the 65th minute through Mathew Thomas, who headed home a free header. Gor Mahia took the game to their opponents and could easily have scored a second goal three minutes after going ahead had Meddie Kagere been quick to react and guide home Karim Nizigiyamana’s cross. The Sudanese side were impressive on the ball and also managed time and again to out muscle Gor Mahia under pressure. The first fruit of their pressure was a 31st minute corner kick after Eric Ochieng’ had a touch of the ball while trying to clear the danger. The corner was curved well and Boniface Oluoch had to come out quickly and clear the danger. Two dangerous set pieces by Malakia dangerously exposed the Gor Mahia backline. The Kenyan champions having survived the scare launched their own counter-attack which was ended by Mahmoud Altahir after he pulled down Meddie Kagere and was cautioned for that even as Gor Mahia went to the break with a healthy advantage. Coming into the second half, both teams continued to push with Innocent Wafula putting the Malakia backline under intense pressure with dangerous balls trying to look for Kagere. But it was Malakia, who scored and the Gor Mahia backline will blame themselves for conceding. Gor Mahia should have hit back almost after conceding that goal. A combination between Wafula and Olunga ended in a fruitless corner. Then in the 67th minute, Olunga was denied by the cross bar as Gor Mahia stepped by pressure. The Kenyan champions then rested Meddie Kagere for George ‘Blackberry’ Odhiambo as they sought more goals but had to be content with the two. Having qualified for the CECAFA club cup quarter-final by topping their group, Gor Mahia next take on Al Malakia of Sudan on Tuesday. It marks the first time in history that Gor Mahia will play a team from South Sudan in a competitive match. On paper Gor Mahia should start as favourites. Al Malakia have scored only one win so far, a 1-0 win over Adama City of Ethiopia. They went on to lose 0-2 to Azam of Tanzania and 0-1 to KCCA of Uganda. Founded in 1946, there continental pedigree is not much to write home about either. In the 2015 Africa champions league, they lost by a score of 0-5 to Kano Pillars of Nigeria. In the 2014 Confederations cup, they lost -15 to CARA of Brazzaville. Gor Mahia for their part will be riding a wave of confidence having topped their group in brilliant fashion. And this was despite resting several players and rotating several players. And though Gor Mahia did not play up to their standards, they still beat Telecom 3-1. “That was another good performance from my charges. I am impressed that we are winning matches even after rotating our squad. It was not an easy task but thank God we are now on ten points. “Our ambition was to get past the group stages and I am glad that we have achieved that. I know that we shall have tough opponents in the quarter-finals but at this point any further achievement will be a bonus for us,” he said to the Nation. 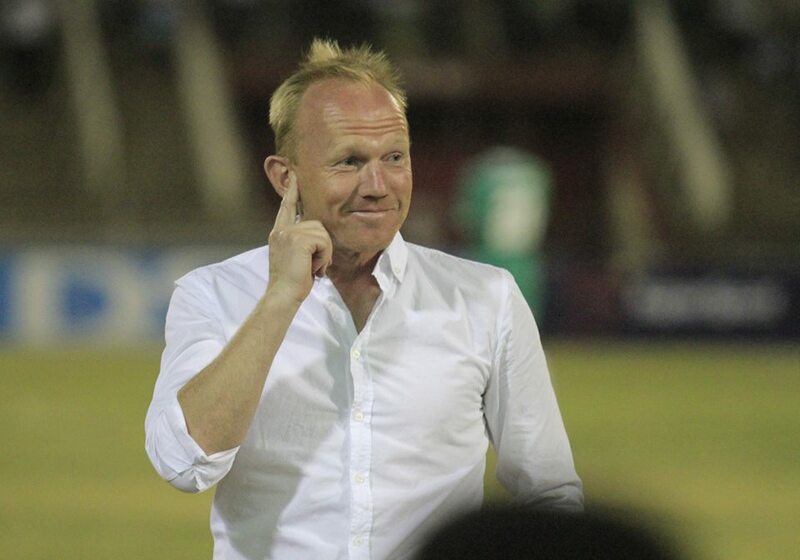 Nuttall also noted that playing 3 games in 7 days in the heat and humidity of Dar es Salaam is not easy. “Playing four games in seven days is not easy and that is why we chose to rest some players. The marathon playing schedule has taken its toll on certain players. Khalid Aucho is not available for the Malakia game having sustained an injury. He will join Walusimbi on the sidelines. Though Al Malakia have not been impressive, coach Nuttall will not be under-rating them and will field a full strength side. “We have reached a crucial stage and no coach can gamble at this stage. I will have my regulars back,” the Scot. “It will be a tough quarter-final as our opponents must have done their homework and they also have the ambition of advancing to the semifinals,” added the coach. Gor Mahia will need to play particular attention to Samuel Ssekamatte, captain David Dada and Peter Saddam Opera who have been impressive. The winner of this match will play the winner of the contest between Al Ahly Shendi of Sudan and KCCA of Uganda. In 1981, famous Congolese musician Wenda Batamba Morris, popularly known by his stage name Moreno sung a song in praise of Gor Mahia. This was one among many songs that were composed about Gor Mahia during this period by bands such as congolese band Super Mazembe, the Tanzanian David Owino Misiani as well as local musicans like Juma Toto. But this song was particularly well written and recalled the fact that Gor Mahia had won the league four times had become the first East African team to reach a continental cup final and had recently won the CECAFA club cup. That was the formidable squad that lifted the CECAFA club cup twice. 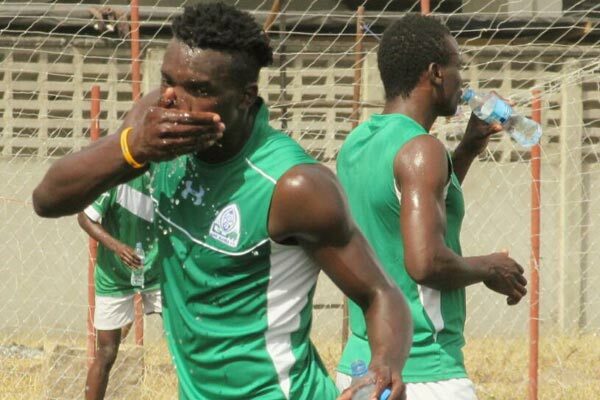 Gor Mahia ended their 2015 CECAFA club cup preliminary round on a sound note beating Djibouti Telecom 3-1. It was a significant improvement from last year when they almost lost to this side. Coach Frank Nuttall continued with his squad rotation policy bringing in 8 players who did not play against Al Khartoum including keeper Jerim Onyango while Collins Okoth returned from injury. Gor Mahia attacked from the very beginning. As early as the 3rd minute Michael Olunga sent a swerving shot which forced a good save from the Telecom keeper. George Odhiambo Blackberry, showing glimpses of his 2010 form, made a good run down the flanks, beat two defenders and with the defence expecting a cross, Blackberry sent a shot into the net from a difficult angle. The second goal came in the 28th minute through Michael Olunga who converted a left wing cross. Olunga now has 4 goals to his credit. Nuttall rung the changes at halftime, replacing Olunga with Kagere. Ali Abondo who has yet to score in this tournament almost scored in the 54th minute but his header went inches wide. Telecom who had scored at this tournament finally scored via substitute Said Hassan Elmi who came off the bench in the 65th minute. Enock Agwanda who had yet tp score for Gor Mahia netted the 3rd goal in the 77th minute to seal the score: He controlled a cross from the right; he shot and was stopped by the woodwork. He followed up to make it 3-1 without any effort from the Telecom defense to stop him.